Even though it can be risky and expensive to change contract manufacturers (CMs), common industry practice is to move the business to a new supplier instead of facing a performance concern head-on. So, essentially, tip #1 is: Just say it. Often it’s not the problem itself but how your supplier responds to it that builds confidence. Weak partners avoid conflict, causing long-term damage to reputations. Good business partnerships are built on mutual honesty, trust, and commitment because these are the things that allow personal relationships to develop over time. Is there something important you haven’t told your PCBA manufacturing partner? Regardless of how long you’ve been working with them, be sure to voice your concerns so that your issues get proper attention and resolution. Outsourced PCBA manufacturing companies work with a lot of different clients, each with their unique technical specifications and needs. This is why it’s imperative that you provide your manufacturing partner with your unique requirements up front. This is especially true when you're introducing a new product into the market or you have certain cosmetic acceptability standards or other requirements that vary from the industry-standard (IPC) guidelines. Has your PCBA manufacturing partner ever told you they couldn’t take on new business from you? Yes, it happens, and it can leave you in the lurch at a critical time. It’s important to appreciate why a trusted partner might choose to pass on your business. Outsourced PCB assembly manufacturers are usually optimized to handle a specific range of production batch sizes. When they take on batch sizes outside of their sweet spot, it may cause delivery problems throughout their customer base, including you. If you know you’ll have batches that vary greatly in requirements, consider working with two outsourced PCB assemblers, one with expertise in large batch PCBA manufacturing and another that specializes in small batch PCBA manufacturing. This allows you to leverage the sweet spots of both providers and ensures you’ll always have a qualified partner to turn to. Read this comparison that talks through what it's like to work with PCBA manufacturing companies that excel in large batches versus those that specialize in small batches. Also, make sure you fully understand the range of services and manufacturing support your PCB assembly manufacturer is capable of providing. If your outsourced assemblies use customized parts, sourcing challenges may arise. 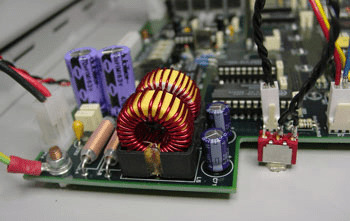 When faced with these situations, it’s common for PCB assembly manufacturers to experience material obsolescence, unexpected price increases, growing minimum orders, and other challenges. Whatever the recommendation is, it’s best to have a game plan in place before the crisis occurs. You've already done some of the research—now's the time to dig a little deeper. If you have questions about any of these tips, dd them s to the comments or contact us.